Posted April 8, 2018, in PhD Testimonial. Curtis M. Williams II earned a B.A. in History and African-American Studies and an M.S. in Public Affairs from Rutgers University-Camden. He also holds an M.A. in Humanities and Social Thought from New York University, where his Master’s thesis was entitle, “Voices of Protest: Analyzing Controversial Speech in the Black Public Sphere.” Prior to his enrollment in the Ph.D. Program in Public Affairs, Curtis spent ten years working as an educator and youth development professional, teaching history courses part-time at Rowan College at Burlington County and other colleges. 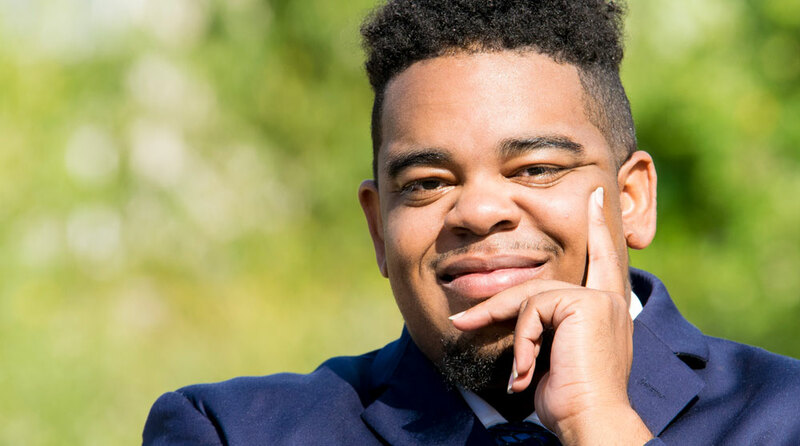 As a doctoral student, Curtis has been a Graduate Assistant for the Senator Walter Rand Institute for Public Affairs where he worked on a project facilitating the Cumberland County Positive Youth Development Coalition, which works to reduce juvenile delinquency. He has also provided research assistance to Dr. Richard Harris, and worked with the Office of Civic Engagement as as a Civic Engagement Graduate Fellow. In this role, he assisted faculty with incorporating an engaged civic learning component into their courses. Curtis is the former Treasurer and Event Coordinator for the Public Administration Students Association (PASA), and chaired the 2017 planning committee for the Department’s annual Graduate Student Conference. His dissertation is concerned with issues of racial justice, educational equity, and community development, focusing specifically on racial and gender disparities in school discipline and their impact on academic outcomes and other developmental issues for youth of color. Page last updated by Department of Public Policy and Administration at 2:57 pm August 16, 2018 . This page was printed from http://dppa.camden.rutgers.edu/2018/04/08/curtis-m-williams-ii-ph-d-student/ at 6:16 PM Tuesday, April 23, 2019.